In 2015, Connect Global launched an initiative in Honduras we call Connected Community. As a part of our ongoing support and investment into the Community of La Ceiba, Honduras our team provided a 2-day training for several members of the local police department. Since then we have also engaged with the Fire Departments of La Ceiba, and El Porvenir to provide fire suits and other job related support. We were able to provide over 20 donated fire safety suits to the department sub stations of La Ceiba and El Porvenir. Thank You to Southern Manatee Fire Rescue in Bradenton Florida for the generous donation. The firefighters were grateful to receive these donations and we know it will impact their ability to serve their community to a greater capacity. Thank You to all who gave to make this donation possible. We are grateful to be able to make such a tangible impact in the Communities of La Ceiba, & El Porvenir, Honduras. We are happy to be building a strong connection to these departments and be able to share both physical and spiritual support to the Fire and Rescue teams of Honduras. Will you help us Sponsor the next visit to the Fire Department? A gift of any amount would go a long way and make a huge impact to this community of First Responders ! Share you stories, questions, & experiences by commenting below or email us at info@goservechange.com. Connect Global was able to facilitate the delivery of several donated fire suits from the Southern Manatee Fire Rescue unit in Florida to the Firefighters of El Porvenir. 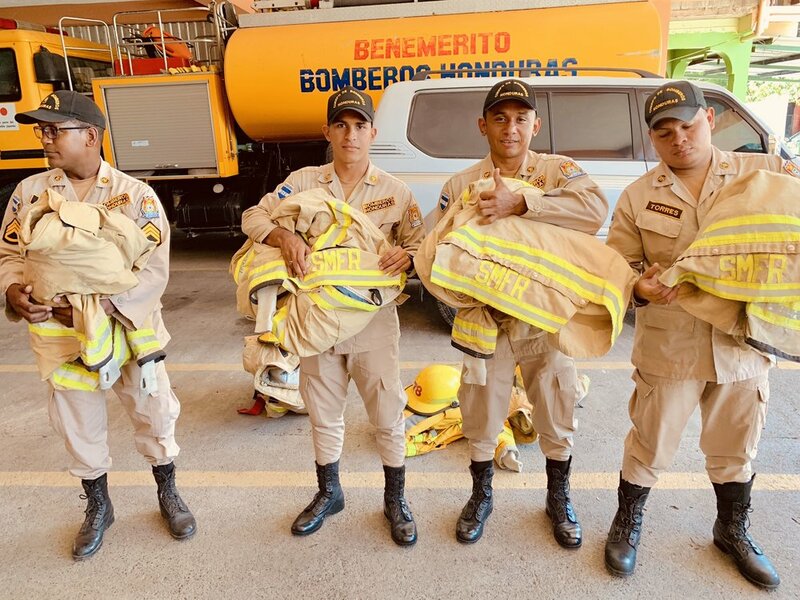 Firefighters in La Ceiba Honduras received several fire suits to augment their aging gear in order to help aid their ability to serve their community. Thank you to Matt Yoder of SMFR in Bradenton, FL for initiating the donation of these much needed and greatly appreciated suits. Thank You for your support of Connect Global's Partners & Projects.